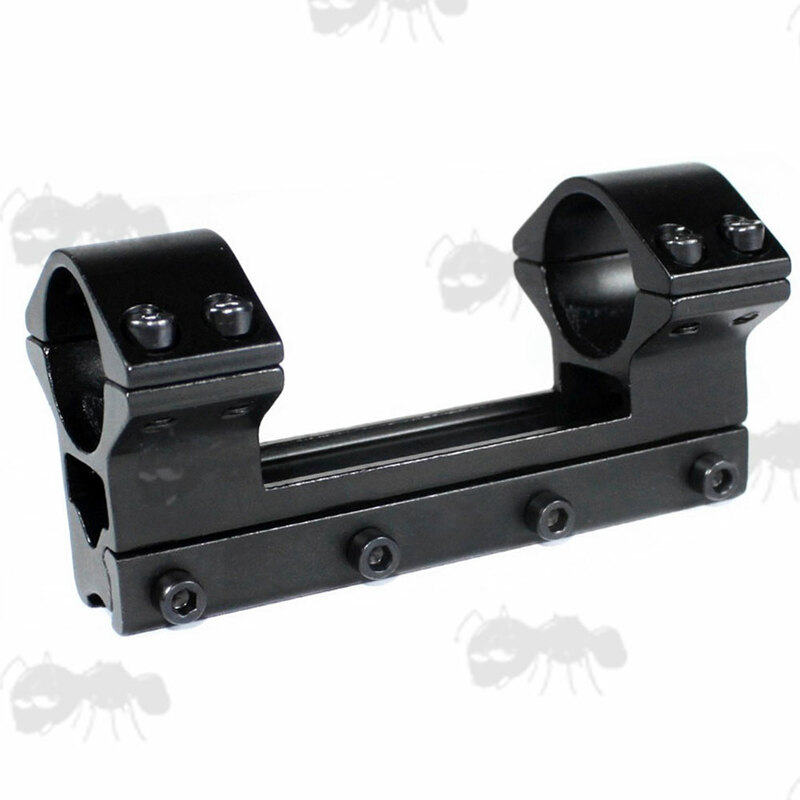 For 9.5-11.5mm wide UK dovetail rails for rifle scopes. Good for spring or gas ram powered air rifles. Short ~ 80mm long overall. Long ~ 100mm long overall. Extra Long ~ 120mm long overall. 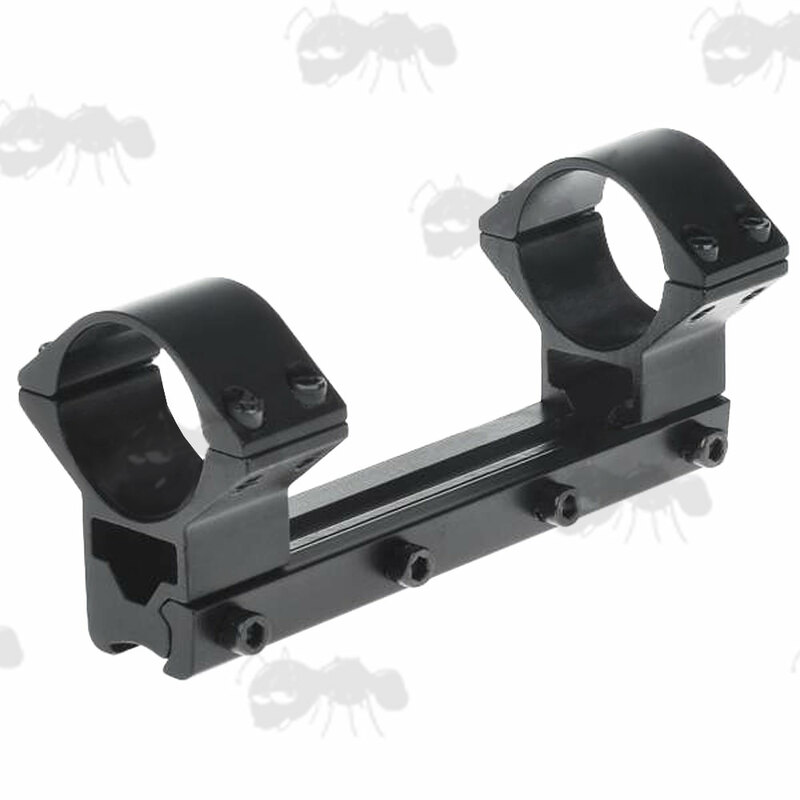 High profile, one piece double clamp mount. 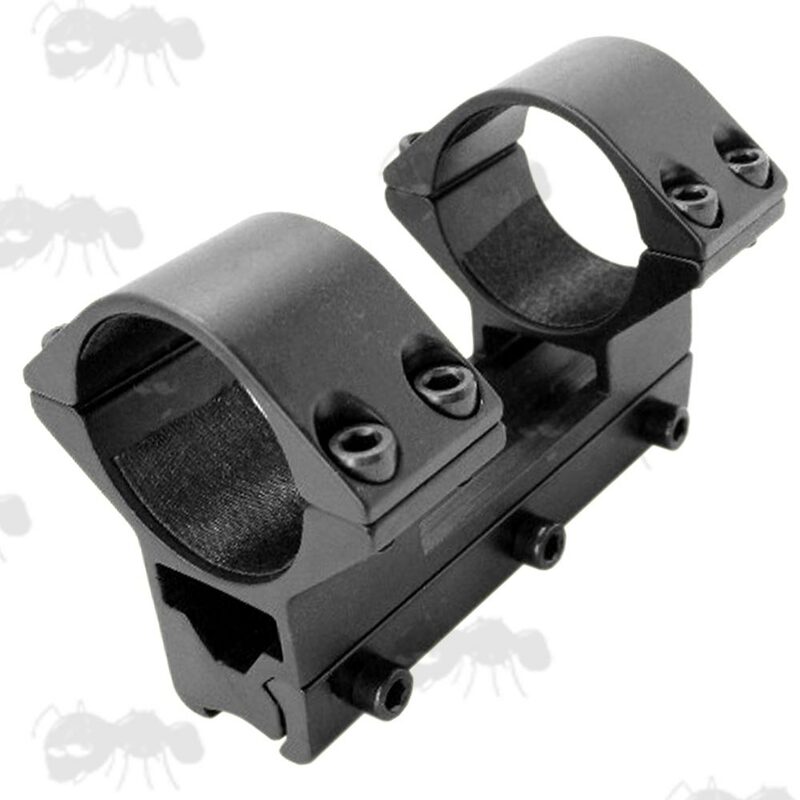 See-through design to still allow the use of your iron sights. 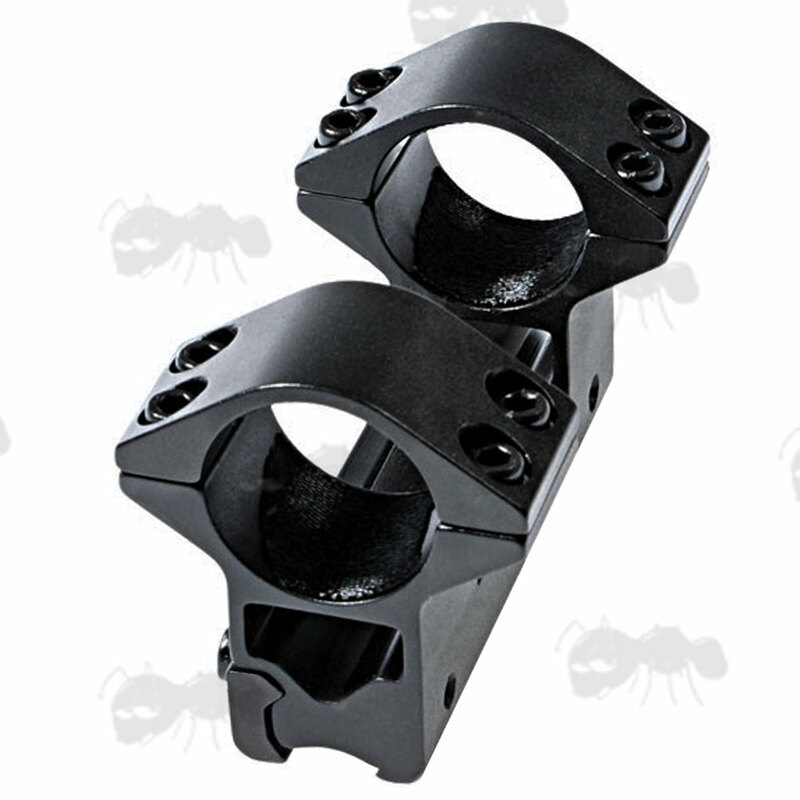 9.5 - 11mm dovetail rail fittings. 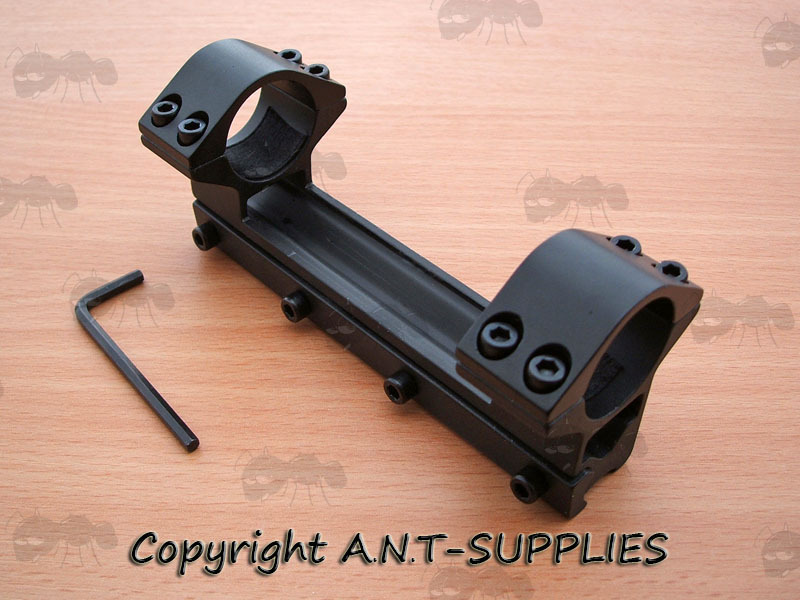 For scopes up to 56mm objective lens. 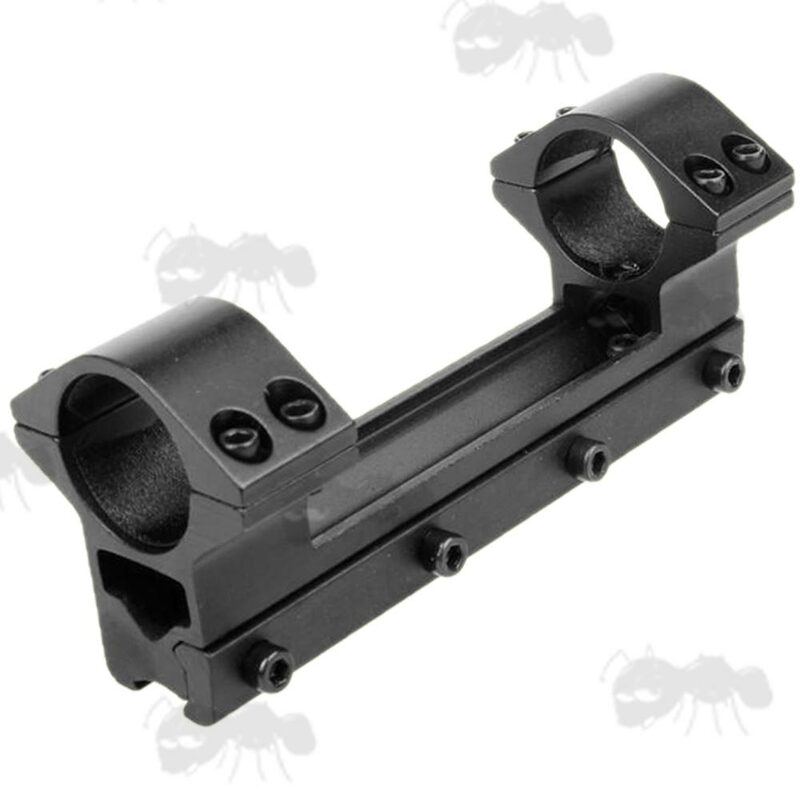 Overall height 51mm, width 45mm and elevation of 20mm.